Young siblings Jeremy and Jemima meet Truly Scrumptious, who falls for their widowed father, Caractacus Potts, and his various oddball inventions, including the family’s noisy rebuilt car, Chitty Chitty Bang Bang. 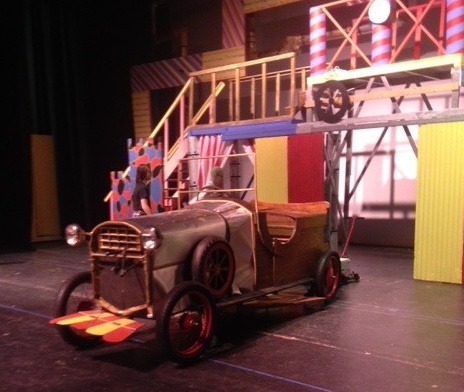 “Chitty Chitty Bang Bang” premieres this Thursday, Nov. 20, from 7:30-9:30 P.M. There will be two more night performances this Friday and Saturday, November 21-22, at the same time. The two matinee performances will be held from 2-4 P.M. on Saturday and Sunday, Nov. 22-23. Tickets are $20 for adults and $15 for kids; all Andover High School students can enter for $5. This musical is funny, adventurous, and fun for the whole family.